RAYLON CORPORATION solving Coats & Jackets production and contracting needs. 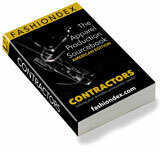 Description: Full package contractor/factory agent & textile converter. Markets: Menswear, Womenswear, Boyswear, Girlswear. Compare RAYLON CORPORATION with all 17 listings in Coats & Jackets.